Our work matters - it makes the world a greener, safer, and more sustainable place. We deliver outstanding client service and develop a world-class software. How we work matters - we work with integrity in our pursuit of scientific accuracy and innovation. Who we work with matters - we work as a team, respect difference, and keep our promises to clients and each other. ERA is strongly committed to upholding a workplace culture and following hiring practices that are equal opportunity, fair, and respectful of all persons. Our team is stronger from our diversity of cultures, creeds, genders, sexual orientations, ages, physical abilities, and backgrounds. ERA has undergone and surpassed government pay equity audits. We encourage any qualified candidate to apply to join our team. ERA is proud to be partnered with the Government of Canada's job creation programs, PRIIME, Biotalent (Green Jobs, Career Focus, and Science Horizons), and the Government of Quebec to help encourage economic growth in Canada's biotech sector. These programs enable us to offer competitive salaries to emerging talent with the support of the Government, and foster employees into long-term biotech careers with ERA. 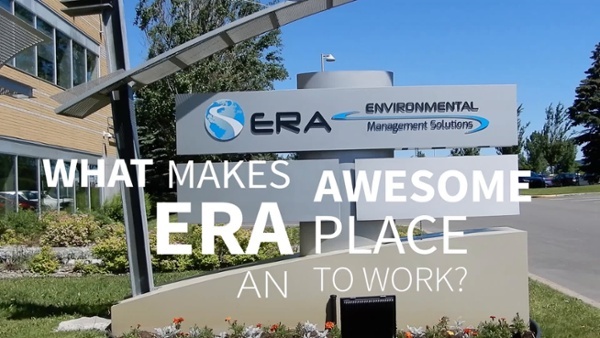 To date, dozens of our current employees were initially supported through these programs, and now many of them are established professionals in their areas of study, some of them working with ERA for 5+ years now! To learn more about the Biotalent program and see how they support new employees in their first few months of their new jobs, click here.